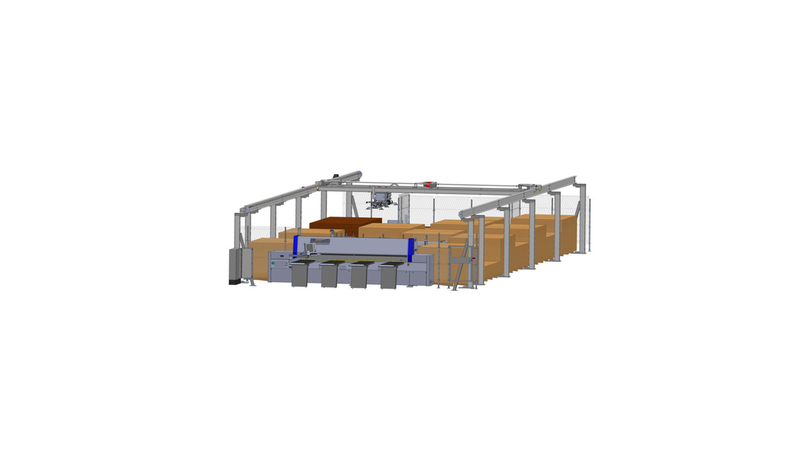 For over 25 years, automation for material loading of panel saws is part of our product range.We transport plate material made of wooden materials, of plaster and plasterboard, of plastics andaluminum plates. With a weight of 5 kg to 2.5 tons, with a size of 500 x 500mm upto a size of 6100 x 2400 mm. And all with vacuum suction technology.Both craft and industrial use in 3-shift operation.A robust and flexible plate saw needsa fast and reliable material supplyfrom a well-organized storage area.We now have both.